Description: The company is a small, friendly, locally run business providing a high quality service to their clients. They have a mixture of domestic, commercial and industrial clients. Most of their work is carried out in the Maidenhead and Henley area. Due to the Company's continued expansion, they are now seeking a permanent, full time Service and Maintenance Engineer to join their Service Team. 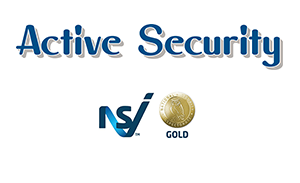 The successful applicant must have prior experience in the servicing of Intruder Alarms, CCTV and Access Control Systems both in residential and commercial properties. Applicants must also have excellent communication skills, be approachable, of smart appearance and able to demonstrate a mature personality coupled with energy and enthusiasm. Please click the APPLY button to send your CV and Cover Letter highlighting your salary expectations for this role. Candidates with experience of; Maintenance Technician, Service Engineer, Alarm Installation, CCTV Installer, Installation Technician, Installer, Technician, Maintenance Engineer, Security Installer, Security Installation Technician, Installation Engineer, Installation, Field Service Engineer, Field Engineering, Engineering, Maintenance Engineer, Service Technician, Electrical Engineer may also be considered for this role. Due to the Company's continued expansion they are now seeking a permanent, full time Installation Engineer to join their Installation Team. The successful applicant must have prior experience in the installation of Intruder Alarms, CCTV and Access Control Systems both in residential and commercial properties. Applicants must also have excellent communication skills, be approachable, of smart appearance and able to demonstrate a mature personality coupled with energy and enthusiasm. Candidates with experience of; Alarm Installation, CCTV Installer, Installation Technician, Installer, Technician, Security Installer, Security Installation Technician, Installation Engineer, Installation, Field Service Engineer, Field Engineering, Engineering, Maintenance Engineer, Electrical Engineer may also be considered for this role.